Since I’m a Texas girl from the day of birth, I love the legends and tales that abound in our state. One of my favorites is the legend of our state flower…the Bluebonnet. 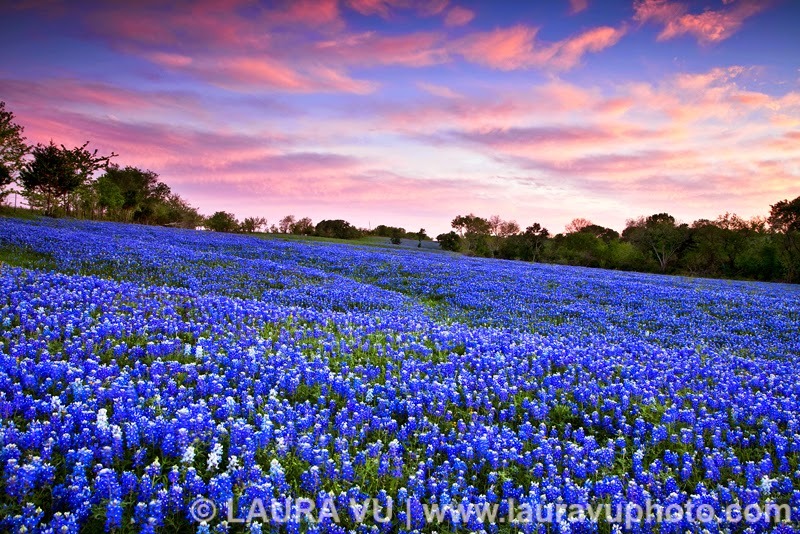 Springtime in Texas finds our fields and hills bursting forth in beautiful blues for as far as one can see. Texans and tourists drive the highways and byways to find the perfect spot for taking pictures. On any given Sunday from late March to late April you will find families and couples seeking the most beautiful spot for their photographs. Babies, pets, small children, family groups, and young couples all delight in the colorful background, and pictures begin showing up on social media sites immediately. I also chose it for the background on the banner of my website. 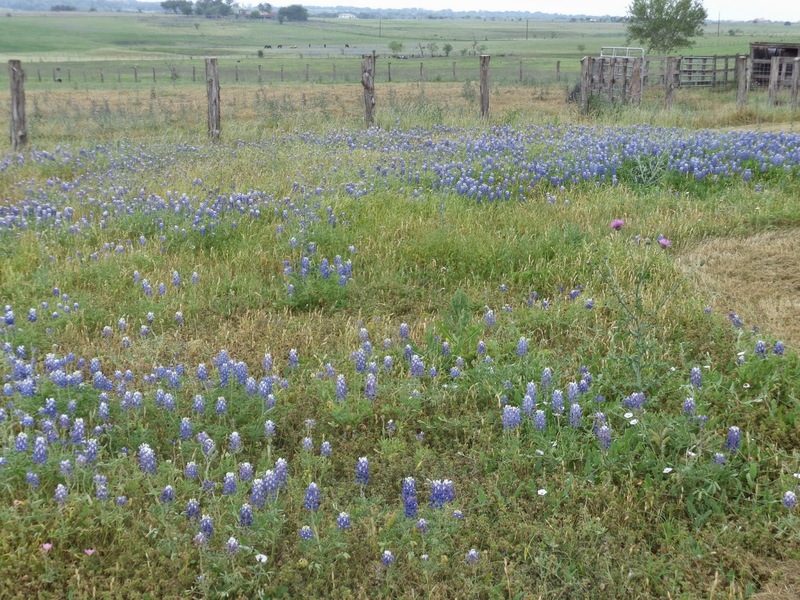 The Bluebonnet has filled the countryside for close to two centuries as far as we know. They may even have been around in ancient times. It is said that the early-day Spanish priests brought seeds and grew them around the many missions in Texas, but the seeds didn’t come from Spain because the flower was found no where else but in Texas. Sometimes the flowers give off an almost purple glow. But it's the same flower. The yellow flowers seen dotting this picture are daisies which also decorate the countryside from March through April. This picture was taken this past April in the front yard of a friend's farm home just off Interstate 10 near Schulenburg, Texas. The grass is not mowed until after all the blooms are gone. The seeds then are left to germinate and grow the next spring. In the spring of 1901, the Texas Legislature got down to the serious business of selecting a state floral emblem. The bluebonnet went into competition with the cotton boll since cotton was king in Texas, and the cactus because of its orchid-like flowers. The National Society of Colonial Dames of America in Texas won the day with their choice of the bluebonnet. (Also known as buffalo clover) The flower is of the genus Lupinus which is derived from the word for wolf, and early Indians called it the "wolf flower". On March 7, 1901, the bluebonnet became the state flower. 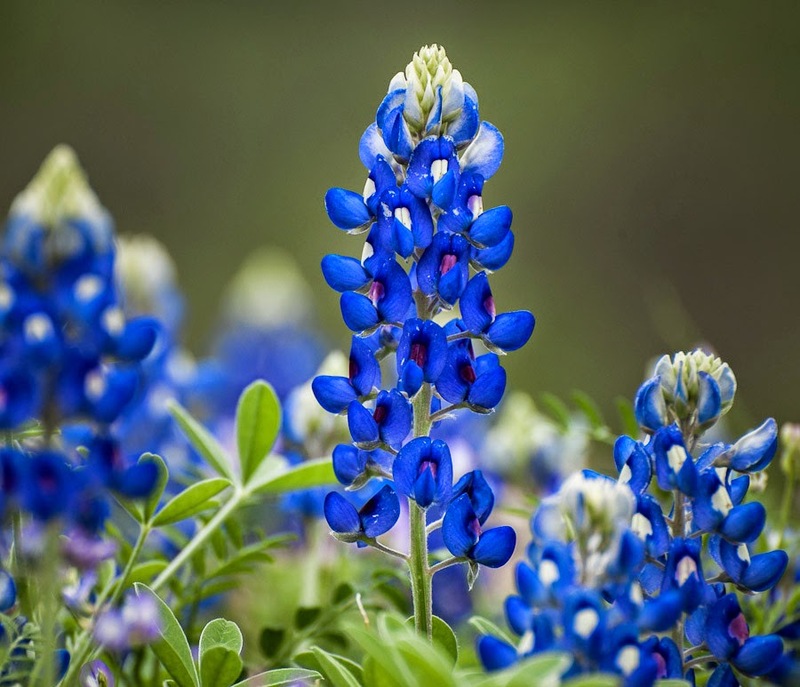 Then a “bluebonnet war” started because the state grew five species of the flower. The one originally proposed was a dainty little plant which grows in the rolling hills of coastal and south Texas during the spring, but others wanted the species to be the showier, bolder blue flower which covers most of Texas and gives so much inspiration. This close-up picture reveals the bonnet like petals of the flowers that gave the flower its final name. 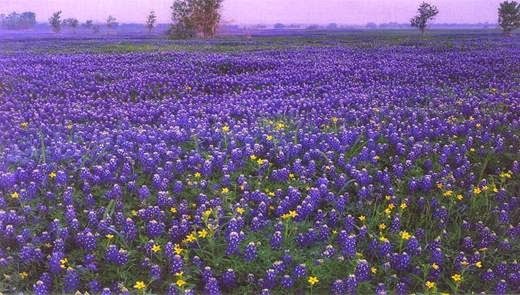 For seventy years the disagreement raged until finally the two disputed species were combined and then all varieties of bluebonnets were included in 1971. No matter how many new strains came along or were discovered, they’d all be bluebonnets. Here is a poem I learned when I was a child that tells the story of how the bluebonnet came to grow in Texas. As a young child I cried every time I heard it because I loved my dolls. So when you see the bluebonnet, think of the little Indian girl and the sacrifice she made so rain would come and heal the land. What is your state flower? Does it have a story behind it? 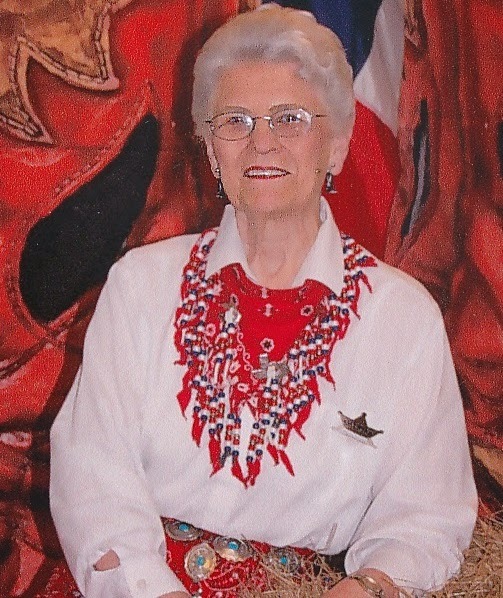 Martha Rogers is a free-lance writer and writes a weekly devotional for ACFW. Martha and her husband Rex live in Houston where they enjoy spending time with their grandchildren. A former English and Home Economics teacher, Martha loves to cook and experimenting with recipes and loves scrap booking when she has time. She has written two series, Winds Across the Prairie and Seasons of the Heart as well as several other novels and novellas. Love Stays True, and Love Finds Faith, the first two books in her new series, The Homeward Journey, are available now. Book 3, Love Never Fails releases November 4. Thank you, Martha, for your wonderful and most interesting post. I, like you, am a Texan from birth so the bluebonnet has always had special meaning to me. Also, March 7 was the day it became the state flower.....that is my son's birthday and my mother and daddy's anniversary. What a day! Since my SIL is a Texan, I thought it best to learn a thing or two about his state. Your post revealed much about the Bluebonnet, thank you for sharing. I'll have to see if he knows the story behind, maybe MIL knows a little more than he does!! I've recently been admiring the paintings of an artist named Julian Onderdonk, and some of his most beloved paintings feature the Texas Bluebonnet. I didn't know any of the history behind that gorgeous flower. Thanks for these insights! Bluebonnets are so beautiful. On a March trip with a friend to a book event, I kept seeing pretty blue flowers all along the highway. It suddenly dawned on me that they were bluebonnets. I had to make a detour off the highway to take some pictures while my friend sat in the car, rolling her eyes at me. :) The Oklahoma rose is the state and the Indian Blanket is the state wildflower, but I don't know the history behind them. I love our Texas bluebonnets! Thank you for sharing this informative post. I am a transplanted Mainer and I had to google the state flower of Maine...it is actually the white pine cone and tassel, which is not actually a flower as we think of flowers! Pines are king in Northern Maine. I am originally from Vermont and I believe our state flower is the red clover, but it's been a while, and I'd better go google that as well!! Thanks for your comments. The legend of the flower is something we once learned in the first grade here in Texas. I don't know if they still teach it with Texas history or not, but they should. Good to hear about the flowers from other states.